I’m not going to lie to you, any time I’ve ever heard people talking about going to Branson, Missouri, I would picture a bunch of senior citizens walking around, going to a bunch of broadway-esque shows. Not exactly my cup of tea. 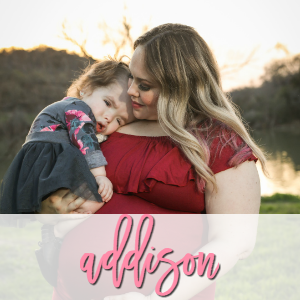 In fact, my in laws went to Branson around Spring Break and I gave my mother-in-law the HARDEST time ever about going to Branson based on my thoughts of what it would be like. My in laws told me they went to a ton of shows and I thought to myself, “How boring!” but let me tell you right now- I was wrong. I was very, very wrong. 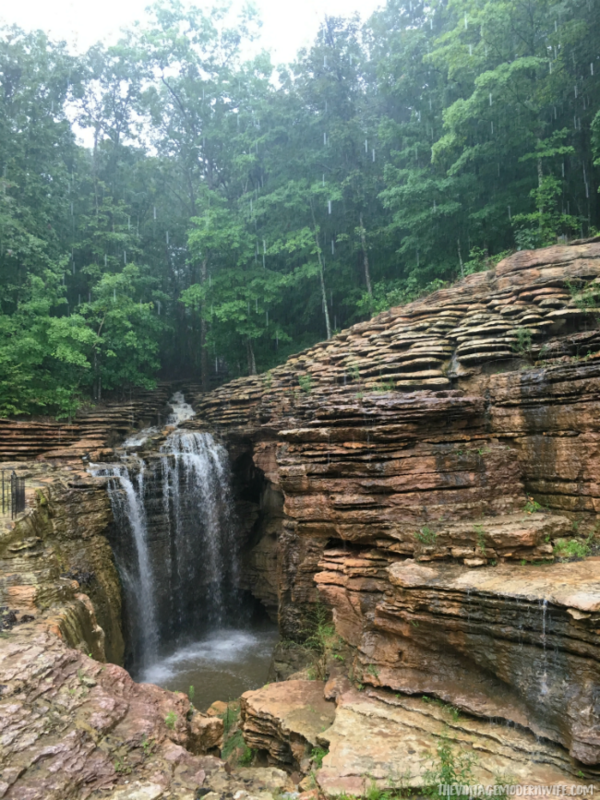 I had the opportunity to explore Branson this Summer, and I’ll tell you right now, it’s not your grandmother’s Branson. When speaking with the Branson Convention & Visitors Bureau about my upcoming trip (which, I HIGHLY recommend doing before you visit), I made it very clear that I didn’t want to be going to shows the whole time I was there. Clearly, I had no idea what Branson had to offer. 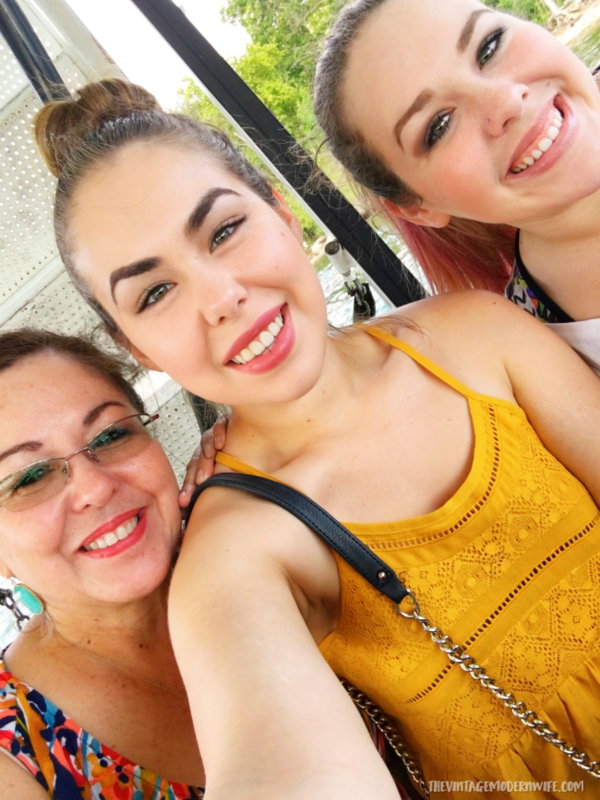 After tailoring an itinerary specifically for me, my mom, and my sister, we found ourselves itching to leave for our trip because everything sounded SO fun. We had plans for the Titanic Museum, Dixie Stampede, ziplining at Branson Zipline, and way more. We had a packed afternoon once we arrived and started out our trip visiting the Titanic Museum. Talk about fun! I was in middle school when the Titanic movie came out and was obsessed with learning about the tragedy. The museum building had a huge Titanic ship as the outside of the building, and the inside was just as cool. Staff were dressed in themed costumes, and we were given little speakers for a self-guided tour. We were also given a name of a person with a little bit of their background and we had to go through the tour to find out if that person lived or not. 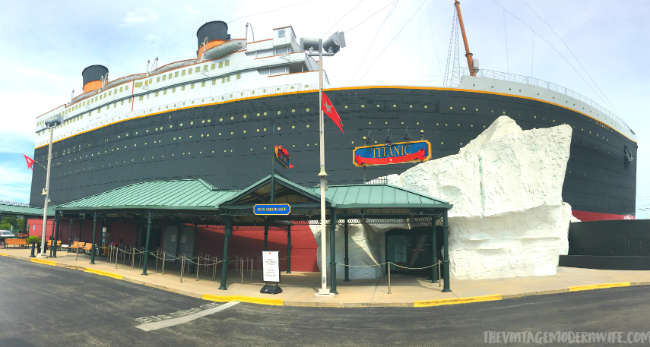 The Titanic Museum is extremely interactive, with over 400 pieces of actual artifacts from the ship to look at. There are also fun things to do in order to truly get a glimpse of what it was like on the ship, such as walking the Grand Stair case, walking on flooring that was sloped to show just how difficult it would have been for passengers to hold on while the ship was sinking, and a basin that had water as cold as the water that the passengers had to attempt to survive in. As you can see with my reaction, it was freezing and I couldn’t even keep my arm in for 15 seconds. The Titanic Museum was so much fun and we could’ve stayed for HOURS more than we did. If you visit, give yourself at least 3 hours to go through it so you’re not rushing. 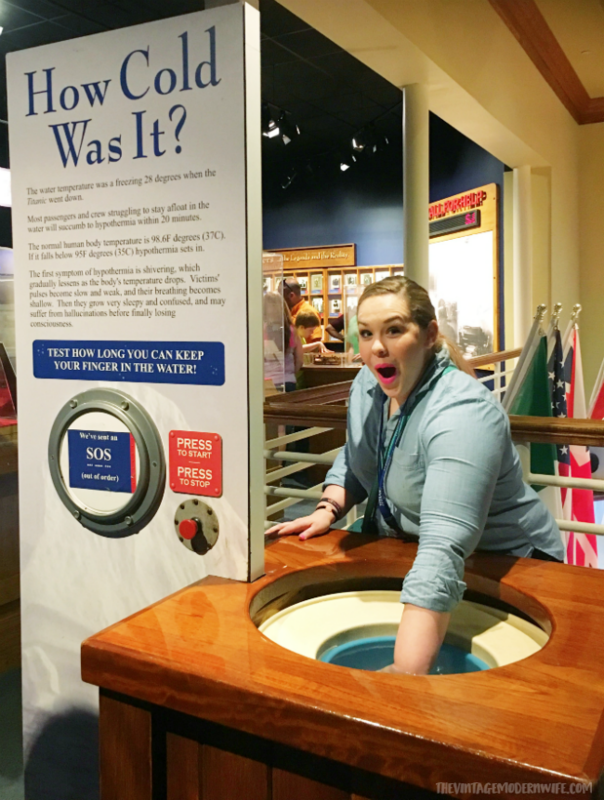 The collection at the Titanic Museum is valued over four and a half million dollars, and you truly won’t want to pass that up. 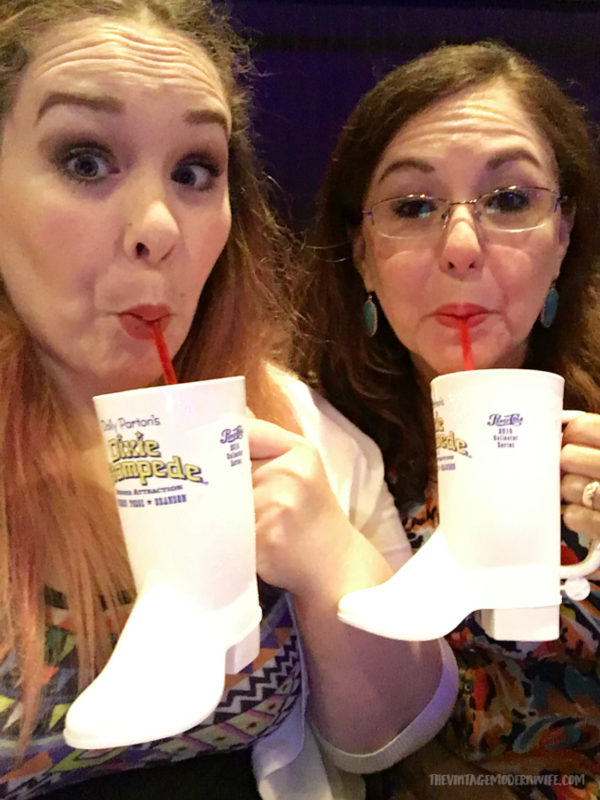 The next day we started off our day with lunch and a show at Dolly Parton’s Dixie Stampede. I know I said I’m not one for shows, but this one was one I’m glad we went to. 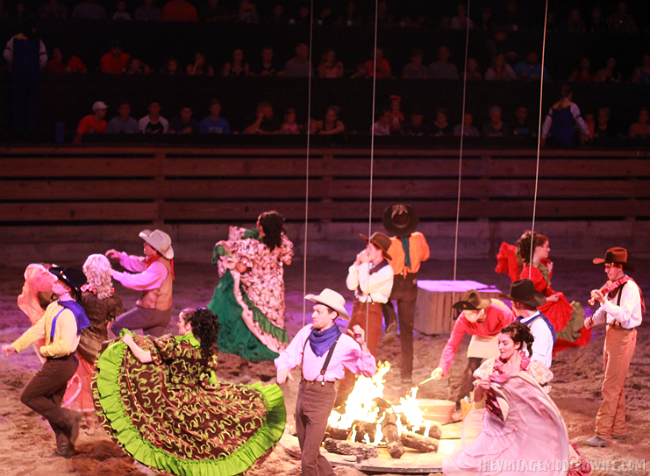 Dixie Stampede is a blast of a show with thirty-two horses and a cast of top-notch riders. 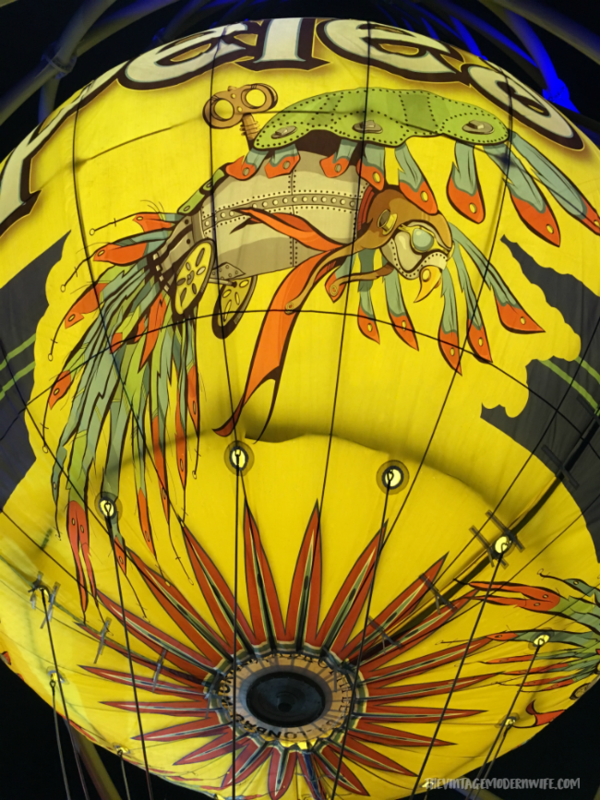 There are daring feats of trick riding and competition, pitting North against South in a friendly and fun rivalry, lots of dancing, great music, incredibly acrobatics, and gorgeous costumes. If you are wanting to get one show in when you explore Branson, go to this one. It’s got so much going on and it’s completely worth every penny! The Dixie Stampede show includes a yummy 4-course meal. Definitely do NOT eat before you go to the show (we may have made that mistake and eaten breakfast) and be prepared to eat your meal with your hands! There are no utensils! All of the food was amazing and super hot, which I was very surprised about considering the show has so many people that attend. I can’t even imagine the planning that takes! Also, make sure you arrive about an hour early so you can get your pictures taken for a fun souvenir, look around the gift shop, and enjoy some drinks while you watch the pre-show. After going to Dixie Stampede, we visited the Branson Ferris Wheel along the strip. The Branson Ferris Wheel was formerly Chicago’s iconic Navy Pier Ferris Wheel, and is 150 feet tall! Its 40 gondolas hold 240 riders, and it lights up the night with 16,000 LED lights. You can find it at The Track with lots of other fun things to do like go-karts, bumper boats, mini golf, batting cages, and even a skycoaster. It is definitely a sight to see and was a fun ride. I must admit, it was pretty quick (7.5 minutes to be exact! ), as we only went around one time, so it’s more of a ferris wheel for the awesome views and not like a carnival ride. 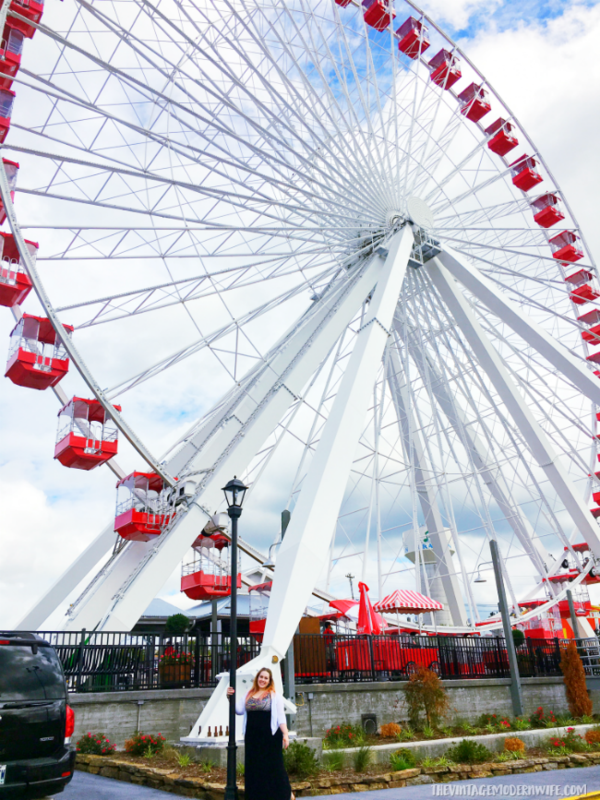 We went during the day, but it would be a great ride to go on with your honey at night with the lights of the ferris wheel and the strip lighting up the night sky. The lights are synchronized to music, and it’s so cool to see! You can fit 4-6 people in one gondola, so if you’ve got a group with you, this is a fun one to do before you hit up a show. We had a little bit of time to spare in between part of our itinerary so we decided to splurge and go on Ride the Ducks. We’d seen so many of the duck boats driving around the strip, that we HAD to find out what was the big deal. We were in for an amazing time! The duck is built to resemble the WWII DUKW land water vehicles but have been restored to climb the Ozarks. Our tour was about an hour long, and we went from driving around town in our duck, to splashing into Table Rock Lake. It was one of the coolest things I’d ever experienced, and we had a blast listening to our tour guide give all kinds of fun facts about Branson and various military vehicles. I snapped the photo above when our duck drove into Table Rock Lake and we switched to boat mode. Make sure you get a window seat on this ride so you can stick your hands in the water as you cruise along the lake! To end our second day, we went to one last show. I will admit, I was very hesitant to go to this show. 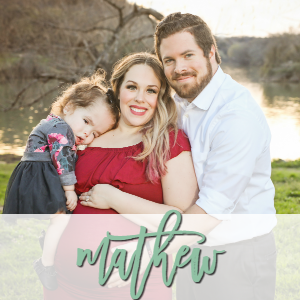 A family that sings and dances? Not my thing. I thought it was going to be cheesy and for kids, but I was wrong yet again. The Haygoods put on one AMAZING show and I honestly would go back to see them again. 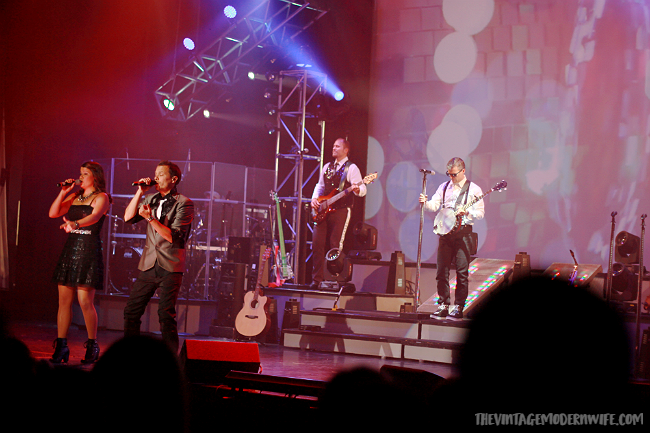 The Haygoods are Branson’s most popular show, and we definitely could see why! This family knows how to put on a show and have been since 1993 when they started performing at Silver Dollar City. Now their 24th season of doing concerts is on the Branson strip at the Clay Cooper Theatre! The Haygoods bring the house down night after night with incredibly tight harmonies, innovative, energetic choreography and amazing performances on over 20 different instruments! 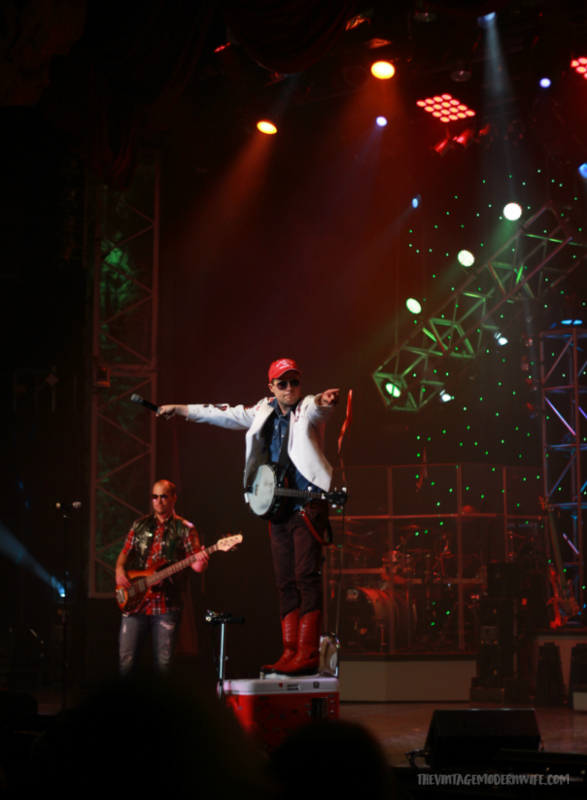 They have a couple of skits throughout the show and I’ll tell you, you won’t want to miss the hilarious Haygood with the red boots.The Haygoods are the ONLY show in Branson that comes out with an ALL NEW show every season, so every year you visit Branson, you’ll see a whole different show. The concert was so fun and entertaining, and it was a great way to end the night. I’m not a night owl anymore, so I was glad the concert wasn’t one that started and ended late. 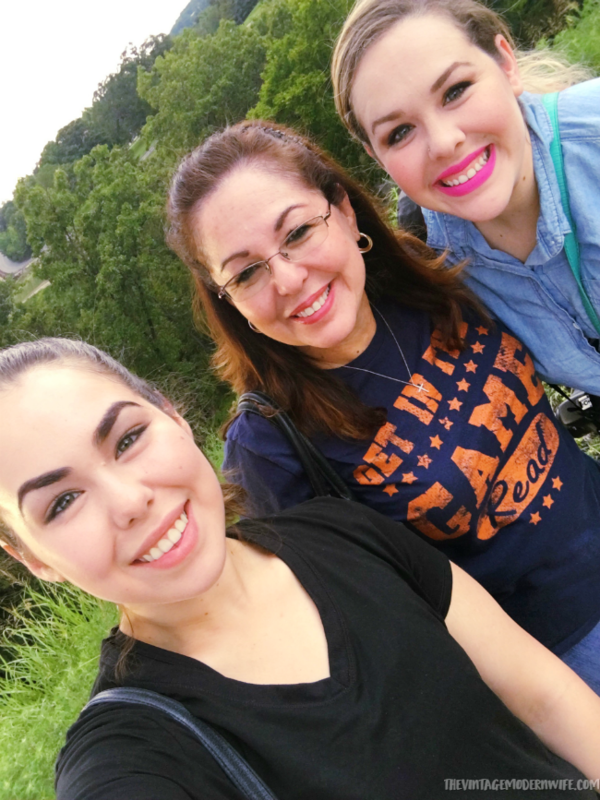 We were out by 10 pm and, after a long day exploring Branson, we were thankful! 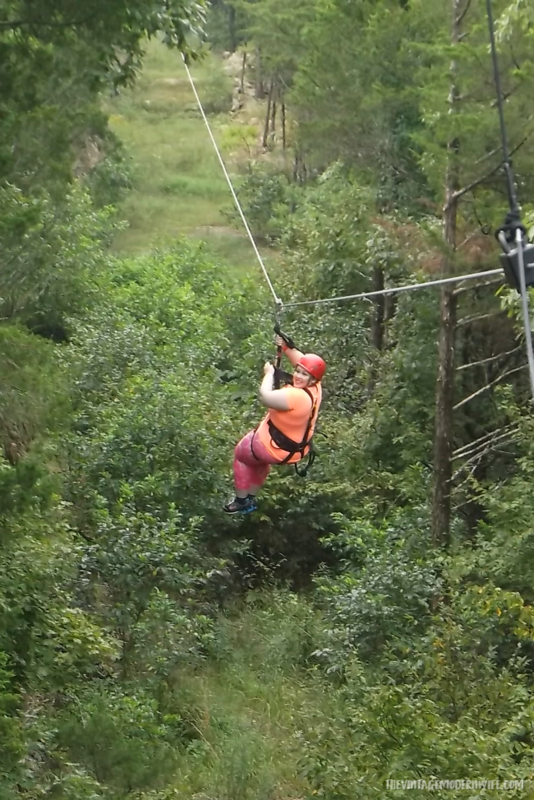 Our most FAVORITE thing to do in Branson was ziplining at Branson Zipline and Canopy Tours. We had a blast the entire time in Branson, but the ziplining couldn’t be beat. None of us had ziplined before, so we weren’t exactly sure what to expect. 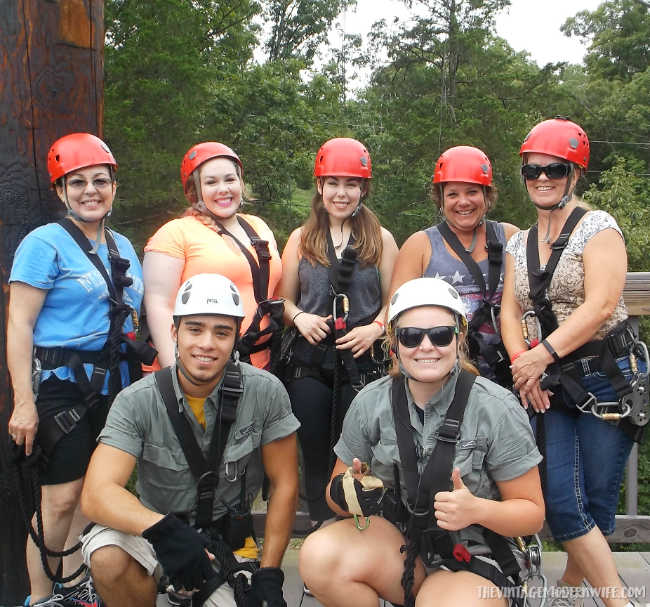 We took the Ozarks Xplorer Canopy Tour and honestly didn’t know what we got ourselves into. After being strapped into our gear and jostled around in a Jeep to get to our destination at the top, my mom asked the guides, “So is this the beginners tour?” The guides may have laughed. It scared us a little, but in the end we had the most fun ziplining. The Ozarks Xplorer Canopy Tour gives the opportunity to trek across 10 swinging suspension bridges, cross walkways covered in the canopy, free fall 40 feet, and soar along 7 zip lines for a one-of-a-kind outdoor adventure in the heart of the Ozarks! The Ozarks are simply stunning and it was a blast to zip through them and see all of the beautiful landscaping. The tour lasted about 2.5 to 3 hours and we were very thankful we went in the morning. Our tour started at 9:30 and it was perfect to avoid the heat. We had 2 guides that were very knowledgeable and were always thinking about safety as well as two other hilarious ladies in our tour from Kansas that kept us laughing. I think my mom and sister would agree, we would totally do this again! If you ever do this tour, make sure you keep your hair in a ponytail or braid, wear comfortable clothing like workout gear (don’t wear shorts- they’ll ride up! ), and wear closed toed shoes because you will be doing a little trekking. Another favorite of our trip was visiting The Top of the Rock for the Top of the Rock Lost Canyon Cave and Nature Trail. 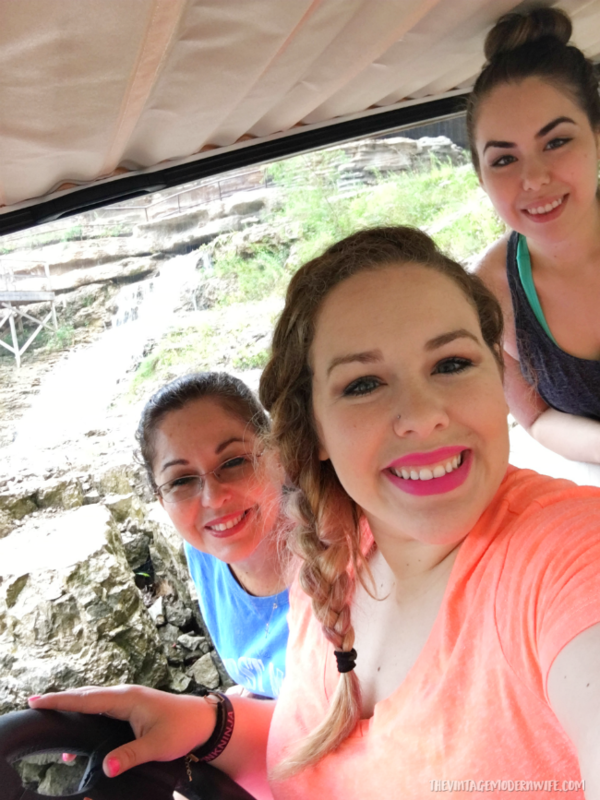 We were given an electric golf cart for a spectacular 2.5 mile journey through the breathtaking Ozarks. The tour is self guided and takes you through covered Amish bridges, dramatic natural rock formations, waterfalls and one awesome cave. The tour we went on was about an hour long, and was HILARIOUS because a rainstorm came in about 10 minutes after we started our tour. Thankfully the golf carts have a top that is retractable, so we were able to pull it up to shield ourselves somewhat from the rain. We ended up laughing a lot because with the wind and trying to drive through the tour, we got SOAKED! My shoes had a couple of inches of water in them and our clothes were drenched. Still, it was incredibly fun and we enjoyed the amazing views. What’s amazing about the Top of the Rock Lost Canyon Cave and Nature Trail tour is that you control how fast the tour is. On a sunny day (heck we did it even on a rainy day!) you can park on the side of the trail, get out, and take pictures of the incredible views the trail has to offer. You’ll see lots of other people stopping for pictures as well, so if you don’t take a selfie stick, that’s ok because someone will happily take your picture for you. Even though it rained on our tour, I think it made the trail all that more beautiful. There were so many gorgeous waterfalls and insane rock formations. One also cool thing about the trail? Top of the Rock Lost Canyon Cave. The cave has a bar inside of it where you can stop alongside, order a drink, and keep on driving! Whenever we explore Branson again, we’ll definitely be headed back to the Top of the Rock. Overall, we’d give our time to explore Branson an A+. 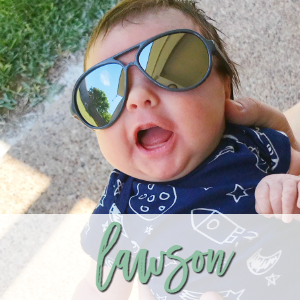 Branson was SO much more fun than any of us originally thought it would be, and I’ll be the first to admit, it’s not your grandmother’s Branson. With awesome outdoor activities, incredible shows, and SO many options to have a blast, there’s seriously something for EVERYONE in Branson. I never expected to like Branson as much as I do now! 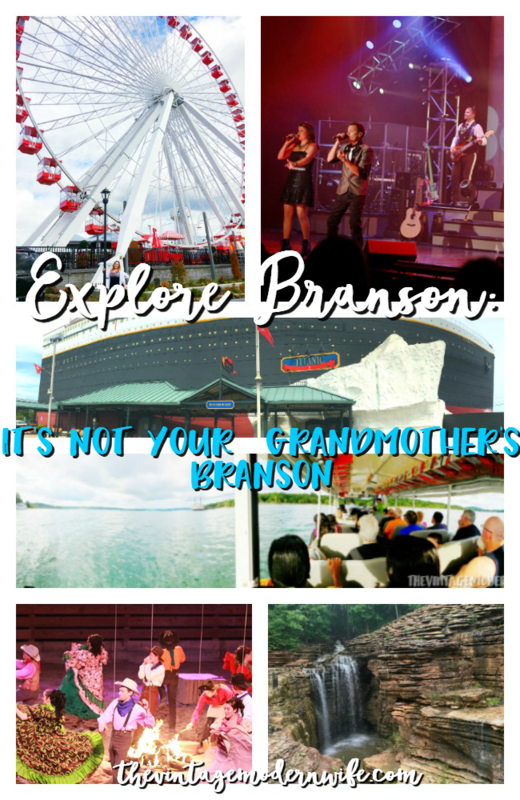 If you plan on taking time to explore Branson you won’t regret it! Tell us, which sounds like something you’d like to do when you explore Branson with your family? Haha I’m glad you enjoyed it on Instagram! We seriously had so much fun. I was genuinely surprised! The Titanic museum looks awesome! That looks like such a great trip! How fun! This looks like such an awesome trip. I’ll have to visit some day! What an awesome trip! I would love that Titanic Museum and zip lining is a blast! I want to go to the Titanic Museum! OMgoodness this looks like so much fun! OMG it looks like the best time ever! That waterfall…so beautiful! Looks like a fun trip!